Do you always see cat that stay on the roof? 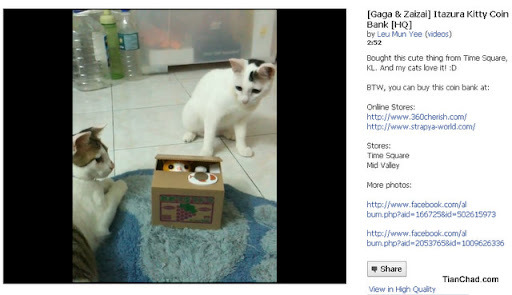 I took my camera and quickly snap him by calling his name - "Meow~"
Would like to share a very cute video of how two curious cat get use to this mysterious box and learned how to get the stuff out. Can't embed this video on blog post so you need to watch it Facebook. Between, did I tell you this cat on the roof can read?